Charleston’s The High Divers were enjoying some solid success from their debut record, 2015’s Riverlust, and were gearing up to release their second album, Chicora, named after the neighborhood in which their house that doubled as a studio was located. Then, in June 2017, their world turned upside down. Fortunately, all of the High Divers recovered, and though the record had been completed before the accident, the songs sound even more urgent and celebratory. Couple that with the marriage of vocalist Luke Mitchell and keyboardist Mary Alice Connor and you have one joyous ending. We spoke with Luke Mitchell about the new record before the band’s stop at Zydeco this Thursday, March 8. MCB: Your first album is called Riverlust, and the first two singles you released from this new record contain the word “love” in the titles. Was that a conscious decision or just the headspace you were in at the time? Luke Mitchell: I don’t think that was completely intentional, although the world needs a lot of [love] right now. I actually didn’t realize how titles on the new record had the word “love” in them. But of course, love and peace and all that good stuff, we’ll stand up for that. MCB: There definitely seems to be more of a soul vibe, especially on songs like “Fall in Love So Fast.” I imagine that song is incredibly cathartic to perform live. Where did that influence come from? LM: Honestly, the hook came from me watching the TV show Westworld surprisingly. We have a lot of people ask for relationship advice because Mary Alice and I are in a band and are publicly out there as a couple. My advice to everyone is just to let people know how you feel about them. That song rings true for us a lot more now since getting in our crazy van accident. You only have so many chances to tell people how you feel about them and letting your family know that you love them. That’s definitely been something that’s important to us now, letting people know how you feel. MCB: What were some of the first songs you wrote for the new album? LM: “Not Sharing” was one that we had in the bag for a while. “Waiting for Your Love” is another one that has been in the works for a good long while. Mary Alice and I went to a cabin for four or five days and wrote eight songs. Four of them ended up on the album, so that was a successful little retreat. MCB: Is that normally how the band’s process works? LM: Sometimes we’ll jam on stuff for a while and just record everything and go back and listen. But most of the time I bring in fully formed songs and everyone throws their ideas on top and makes them High Divers songs. We do like figuring out stuff live though because that’s an environment we really thrive in. MCB: How long did the band live in your house before you decided to record there? LM: I think we chose the house just so we could record there. We really went full force with the studio for about six months getting everything together, getting all of the sounds we wanted, soundproofing the house. We specifically chose that Chicora neighborhood because we were isolated a little bit, and our neighbors around us didn’t care at all if we were playing. It turned out to be a really good thing for us. MCB: Is that neighborhood a more artist-friendly space? LM: Not really. It’s one of the last remaining, ungentrified spots around Charleston. It’s not the nicest neighborhood, but it’s got a lot of culture. It’s definitely a lot cheaper than living downtown, which is why we chose the house. There are also very few places where you can live in and play music downtown and everyone is okay with it. MCB: The van accident and how you recovered from it is now an indelible part of the band’s story. Even though you started playing shows a few months after the accident, what was your initial mindset during those first few days and weeks? LM: Our mindset right after it happened was that we still wanted to get to Los Angeles and see that through. We wanted to see if we could get back to playing shows as soon as possible. But then, as all of the pain meds started wearing off, we realized how impossible that would be at that time. We didn’t realize how messed up Mary Alice had gotten from the wreck and she had a fractured hip. We sent an Uber to the airport to get everyone home and she could barely sit in the Uber for the five or ten minute car ride. Going to LA would have been really stupid. We had some people talk us out of that thankfully. Coming to that realization that we had to stop at that point was really hard, and we were really angry about it. MCB: What do you think was the catalyst for the band’s recovery and getting back to playing and touring? LM: Just sense of purpose. I think that the High Divers as a group have always been go-getters. I think we’re happiest when we’re out on the road or working towards some common goal. By sitting around in our houses, we can go crazy and can get cabin fever. That’s the nature of our band to get back to it. It makes us feel normal again. Sitting at home and staring at a wall on pain meds really isn’t what we signed up for. MCB: You recorded the album and had the van accident, but you also had some joyous times. You and Mary Alice got married recently. What is the dynamic like of having your spouse as your bandmate? LM: It’s great. It’s a lot easier than people think it is. We don’t have to miss each other and we’re a great support system to have out on the road. The isolation issue that a lot of musicians deal with is not really in our bag. It’s been really nice to be with your significant other and be united for that common goal of something that will hopefully be bigger than us at some point in time. Being out here playing shows and making people happy is definitely a rewarding experience for a couple. MCB: Personally, you’ve lived in Austin, Boston, and Charleston, and have moved around a good bit. Did you always figure music and the touring lifestyle would be a natural fit for you? LM: I was always gearing myself up for it and waiting around for the right band. I decided to move back to Charleston from Hilton Head, where I was living, and everything just materialized at the last second. We then had the band that I had wanted to be in forever. I had recorded three solo albums, so I was primed to start touring. It’s been really exciting to see that come to fruition. MCB: What are three albums you can listen to from start to finish at any point? Chicora is out now on True Blue Records. 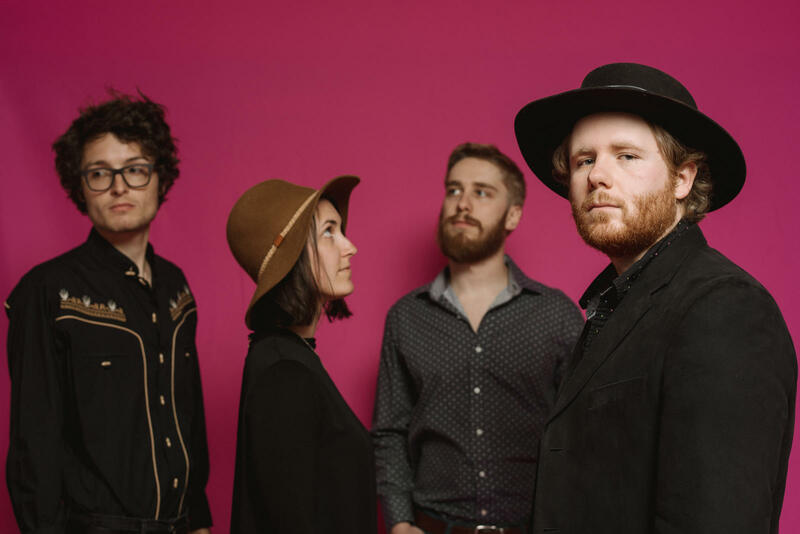 The High Divers will play Zydeco on Thursday, March 8 with Hannah Wicklund & the Steppin Stones. The music starts at 8:30 p.m. Tickets are $10. Look HERE for more information. Image by Sean Money and Elizabeth Fay.